AWWW: HS sweethearts “married” during school fair, end up as real life couple! If things are meant to be, they will definitely happen. Couples who are firm believers of destiny can attest to this. Time, distance nor anyone can ever stop them from getting together if they are really meant for each other. 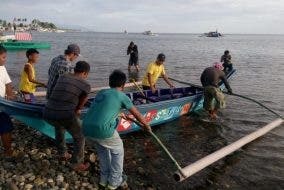 As if stories like these are only evident in movies or fairytales, well then, the Tañegas prove that they are each other’s lucky stars, even as high school kids. Bianca Tañega took it to her social media how she was charmed by her parents’ love story when a copy of their marriage certificate during a school fair years back resurfaced just recently. Bianca has shared to WHEN IN MANILA her parents’ love story. “My parents both went to CSA for grade school, and they met in Grade 7 in 1985. They were just friends at the time, though. When they got to high school, my mom moved to AC, but they kept in touch. My dad started having crush on my mom in second year high school, and they became boyfriend and girlfriend in third year high school so that was December 17, 1988; so they were already together when they got married at the marriage booth of the AC Fair in 1989! That was my mom’s fourth year na. The young couple during their sophomore year in college. They both went to DLSU for college, and they stayed together until their third year of college. My parents split then; they weren’t together for three and a half years. But while they weren’t together, my dad would still call my mom to every birthday and every Christmas just to greet her. Eventually, after they both graduated and were both working already, they met again. That was around July 1994. They got back together and by September, my dad was asking her to marry him every day! Love is definitely still in the air for the Tañegas now that they have been happily married for 22 years and 3 kids. It was just one of those moments in time that the high school “marriage certificate” came about to remind them of the humble beginnings of their love. In fact, they were each others’ first boyfriend and girlfriend. 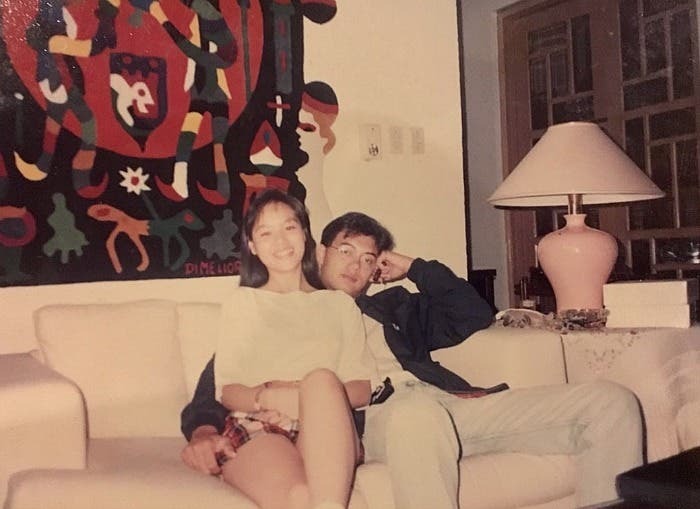 Bianca shares that her parents are the reason why she and her siblings never grew up cynical or bitter about love. Isn’t this a cute love story? Let us know in the comments below! Disclaimer: WheninManila.com does not own the photos above. Photo credits go to Bianca Tañega.